Russian Foreign Ministry’s Comment On “Fifth Anniversary Of Crimea’s Reunification With Russia” 5 out of 5 based on 3 ratings. 3 user reviews. Wither USA cry and instigate puppet France, Germany, Britain Crimea lawfully belongs to Russia.USA unlawfully and directly owns,Germany, Japan, Iraq,Syria,Jordan, Qatar,Guam,Botswana and no one including UN talks. Perhaps the gods watched the shenanigans in the Ukraine by “F#ck-the-EU” Victoria Nuland & Co., and rolled the Crimean dice in Russia’s favour. Great strategic outcome for Russia in any event. Well said tovarisch Lavrov. Very well said. But never mind, only don’t forget to click the recommend button and give the article 5 stars! 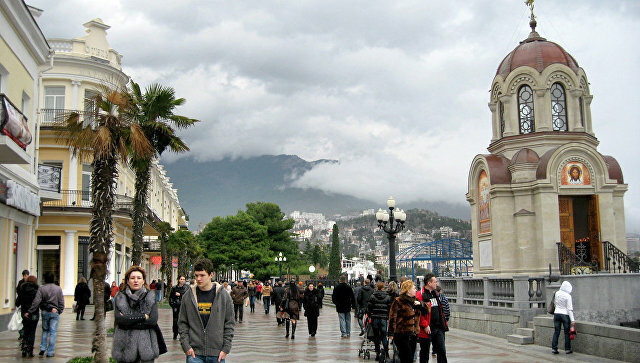 Crimea will always be part of Russia. Actually, all of Ukraine is Russian and and if Putin was not a numbnuts he should have taken over all of Russian Ukraine as the whole Russian Orthodox history is linked to Kievan-Rus. The Zionist brainwashed West must understand that, to Russia,Ukraine can never be just a foreign country. Russian history began in what was called Kievan-Rus. The Russian religion spread from there. were fought on Ukrainian soil. The Black Sea Fleet — Russia’s means of projecting power in the Mediterranean — is based in Sevastopol, in Crimea. Even such famed dissidents as Aleksandr Solzhenitsyn and Joseph Brodsky insisted that Ukraine was an integral part of Russian history and, indeed, of Russia. The Russians in recent history defeated the Nazis in Ukraine too. Why are Crimeans more important than people from Donetsk? lol A lot of rubles could have also been saved by foregoing the bridge. Ukraine is a good argument why NK and Iran or any other nation with nuclear ambitions will never give them up.